Shankar Vanavarayar is the Correspondent/President of NIA Educational Institutions (www.nia.ac.in) and Executive Director of Sakthi Auto Motors Ltd a part of the Sakthi Group based out of Coimbatore. Shankar Vanavarayar has a Bachelors Degree in Commerce from PSG Arts and Science College Coimbatore, MBA from the Cardiff University in the UK and a Masters in International Education Management from the University of Leeds, UK. 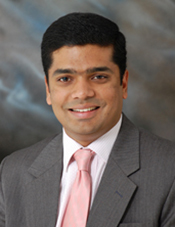 Shankar Vanavarayar plays various roles in 1.0 Billion USD Sakthi Group (www.sakthigroup.com). Now he plays a passionate and dynamic role in the management of NIA Educational institutions which educates more than 12,000 students from school to higher education. The 9 institutions, including schools and colleges teach engineering, polytechnic and agriculture. They are under NIA and are not-for-profit with a modern outlook into education. They are also involved in strategic visioning processes for the institutions. His main focus is to bring about a student-centered approach in the institutions. Shankar Vanavarayar has been a part of Young Indians (www.yionline.org) for the past 6 years playing various roles from chapter to national positions of Strategy, Communication and Events. He is passionate about the role of Young Indians in making the India of tomorrow. Shankar Vanavarayar is passionate about the heritage of the land and works for the cause of preservation through INTACH and also The Vanavarayar Foundation (www.vanavarayar.com), founded by him to work in the areas of history, architecture, culture and heritage.